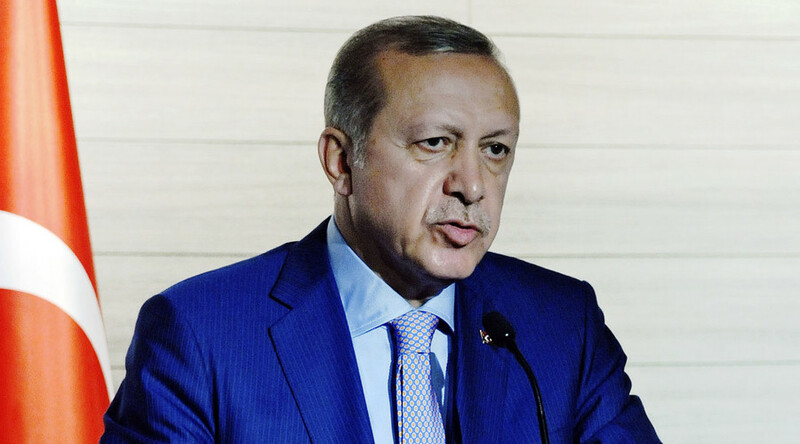 Turkish president Erdogan has threatened to “leave” Europe to deal with its migrant crisis alone, saying that Germany “blackmailed” Ankara by recognizing the Armenian Genocide. He also called out the Germans over their “history” of mass killings. Speaking before students at Sebahattin Zaim University on Sunday, Turkish President Recep Tayyip Erdogan claimed that Germany has no moral right to blame Turkey for mass killings, given the Holocaust committed by Nazi Germany and a genocide in Namibia perpetrated by the German Empire. The German Empire carried out racially-motivated mass killings of tens of thousands of Namibians during colonial wars waged on the territory of modern-day Namibia from 1904 to 1907. According to various estimates, between 24,000 and 100,000 ethnic Herero and 10,000 Nama tribal people died as a result of starvation, abuse, and diseases during the course of the warfare and in concentration camps. However, in contrast to Ankara’s defiant stance on the Armenian Genocide, the German parliament admitted that the Namibian killings were a part of a “race war” that should be considered a “genocide” in 2015. Erdogan praised Turkish history as one “of mercy and compassion,” while blaming the West for exploiting millions of African immigrants for cheap labor. “Under the elegant pavements of Berlin, Paris, Brussels are lives, blood, efforts and elbow greases of Africans,” he said. Despite the strained relations between Armenia and Turkey due to Ankara’s vehement denial of the genocide, Erdogan claimed Armenians are welcomed in Turkey. — RT (@RT_com) 2 июня 2016 г. “If we were a country that was an enemy of Armenians, we would have sent all of these people back to Armenia,” he said, referring to the community of more than 100,000 Armenians living in Turkey at the moment. Earlier on Saturday, the Turkish leader threatened to stop helping Europe alleviate its refugee crisis if the EU continues to put pressure on Turkey for refusing to acknowledge the atrocities, stressing that Turkey “will never accept the accusations of genocide,” according to the Hurriyet Daily newspaper. “Either we find solutions to our problems in a fair way, or Turkey will stop being a barrier in front of the problems of Europe. We will leave you to your own worries,” Erdogan warned, accusing the EU of employing “propaganda machines, Armenians, or terror groups” to shatter its international positions. The German Parliament passed a resolution on Thursday recognizing that the killing of over 1.5 million Armenians by the Ottoman Turks during World War I was genocide. 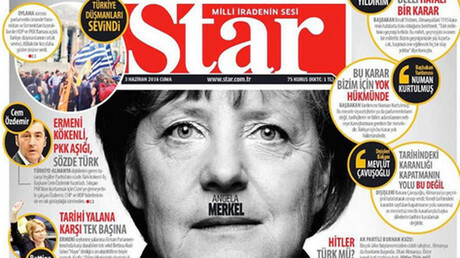 The move received widespread condemnation from Turkish media and authorities, with leading Turkish outlets even comparing German Chancellor Angela Merkel to Hitler. While Merkel was not present at the vote, ostensibly due to previous commitments, she endorsed the decision via her spokesman Christiane Wirtz. “She [Merkel] told me this morning that she sided with her parliamentary group,” Wirtz said ahead of the vote. Although, Turkey admits that tens of thousands of Armenians were killed from 1915 to 1917, it denies that this constituted an act of genocide by Turkish Ottoman forces, insisting that the number of casualties is greatly exaggerated. Ottoman authorities began the mass killings in question on April 24, 1915, when 250 Armenian intellectuals were detained and later executed in their capital, Constantinople, which is present-day Istanbul. Most of the Ottoman Empire’s Armenians were subsequently displaced, deported, or placed in concentration camps, affecting up to 1.5 million people, ostensibly for rebelling against the Ottomans and siding with the Russians during World War I.